“Everybody knows a greedy building when they see it,” says Cavenaugh, himself a designer and developer. “The design follows a formula, no matter what neighborhood it’s for. They’re lazy. As a developer, everything you do to make a building better makes the numbers worse. So if you start from maximizing profits, you don’t give yourself an opportunity to do great or even good buildings. Plenty of neighborhood advocates, architecture connoisseurs, and people who just care about beauty would agree, whether they’re looking at developer Wally Remmers’s bloated 50-unit box on NE Fremont Street or Urban Development Group’s sad array of cynical, faux-historic boxes popping up all across the Buckman and Richmond neighborhoods (not to be confused with Urban Development Partners’ more generous buildings). 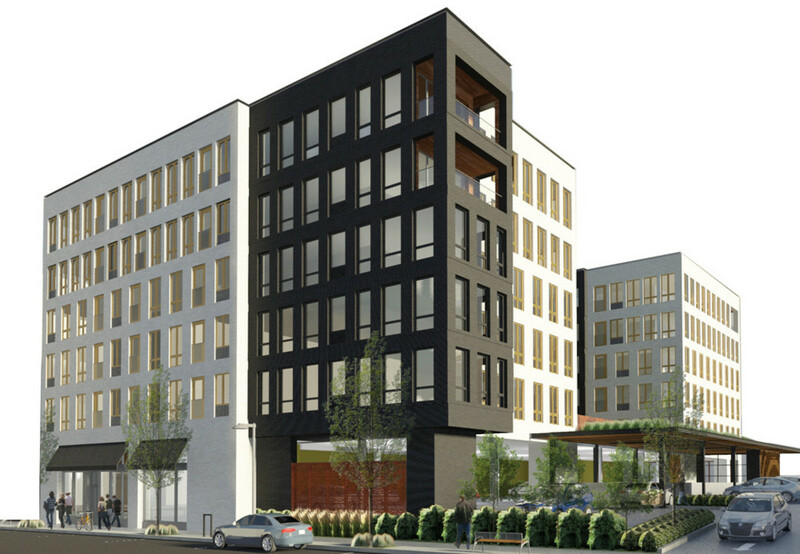 Nevertheless, Portland’s current multifamily housing boom is breeding some buildings to look forward to. Here are a few projects that each, modestly or dramatically, set new standards. What’s to like For the new, add-water-and-stir neighborhood taking shape on the compound around the headquarters of the freight and logistics company, Holst designed “a building that could look like multiple buildings,” according to firm cofounder Jeff Stuhr. Alternating volumes of dark and light, multiple brick patterns, and small storefront shops echo the historic patterns of the adjacent Northwest District. The developer gave up leasable space for a gracious corner setback that, if matched by the future buildings destined for the adjacent corners, will define a plaza at the commercial and social heart of this budding neighborhood. What’s to like Bay Area transplants Avi Ben-Zaken and Eric Cress of Urban Development Partners bring Californian wisdom to Portland: namely, courtyards. 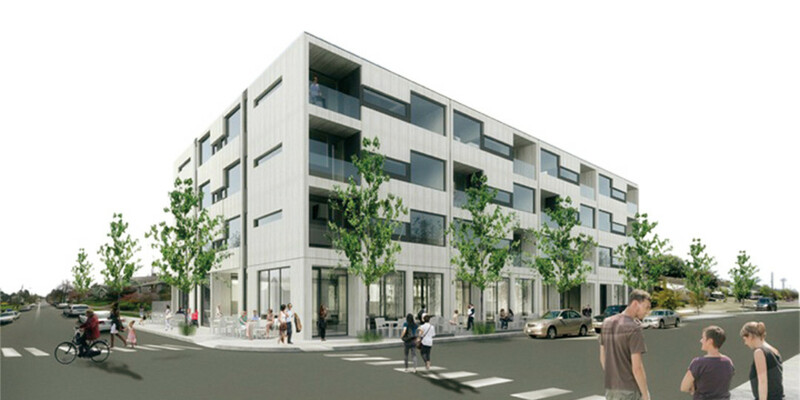 Both designed by THA’s David Keltner, the just-finished 3339 fronts Division with a stucco façade reminiscent of the Bauhaus movement, while the soon-to-be-finished 3330 will rise across in white-stained cedar. But the magic lies in the courtyards. For both buildings at ground level, as Keltner puts it, they “draw the energy of the street inside,” creating airy outdoor spaces for restaurants and other businesses. For the upper, residential floors, the courtyards allow each unit sunlight from two sides—plus cross-ventilation—an exciting, more environmentally friendly alternative to the thousands of shoebox-with-a-window-style apartments being built by greedier developers (and less responsible architects) throughout the city. 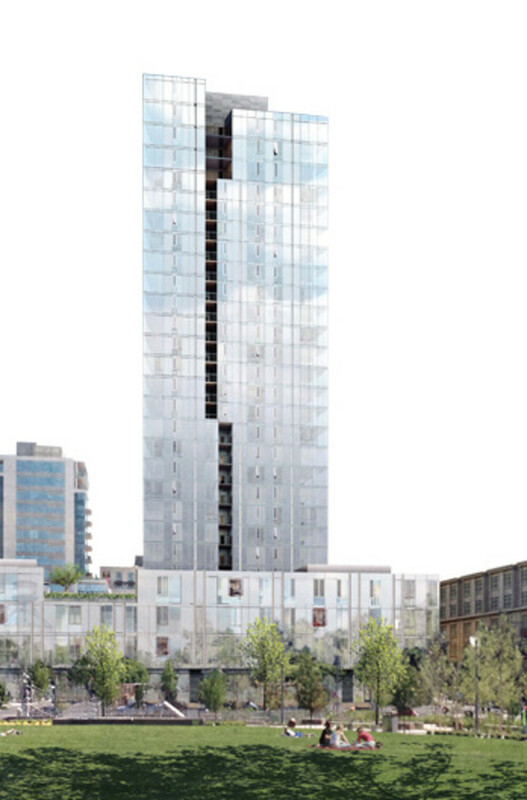 What’s to like For the best site in the Pearl District—between two parks, with picturesque views of Centennial Mills, the river, and Mount St. Helens—a Pearl District first: a true Vancouver, British Columbia–style “point tower.” Rising 340 feet from a quarter-block footprint, this will be the most slender skyscraper in the city. Boora’s John Meadows and team further fractured the building into “crystalline bars” with inboard decks (as opposed to protruding balconies) that offer better weather protection. 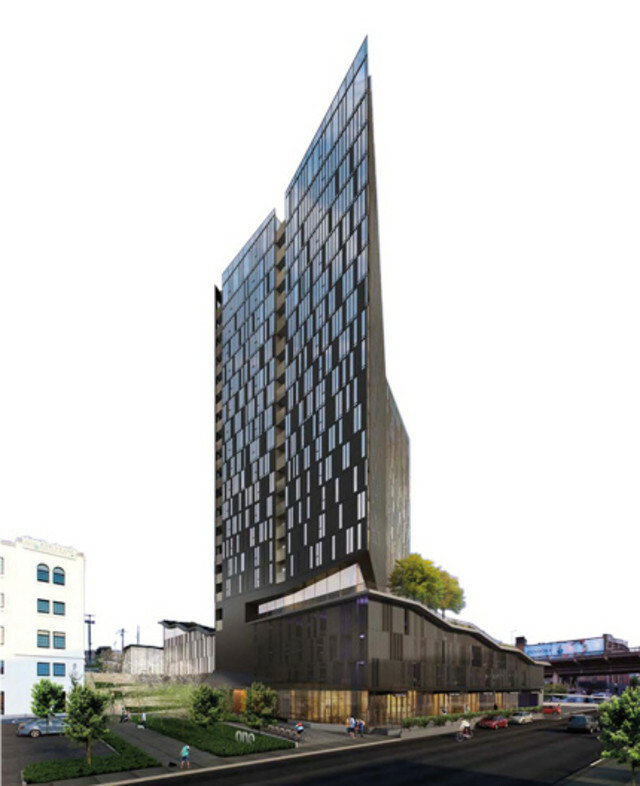 With larger units and a likely precedent-setting $525/square-foot average sales price ($1,200/foot for the penthouses), it promises to be Stumptown’s new luxury address.